I'm not overly familiar with budget makeup brand, 2True but I was sent a selection of products as an introduction which I'm currently in the process of trying. The first product which I've tried is 2True Cheek 'n' Lip Tint, available in 2 shades- a deep red or a feminine pink. 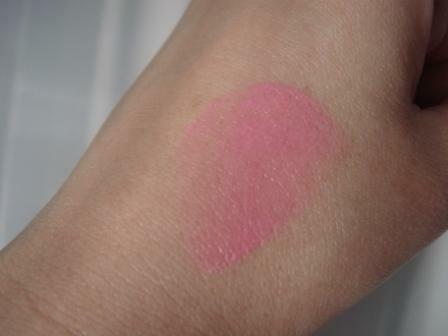 I was sent the pink to try which is undeniably similar to Benefit's Posietint. 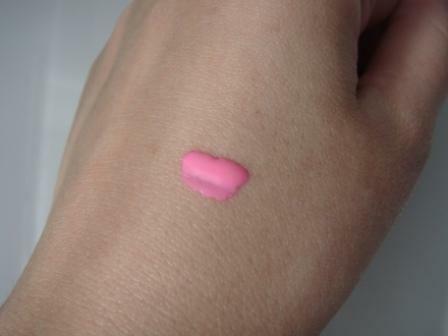 Presented in a small bottle with a brush applicator, it's similar to a nail polish in terms of packaging and is easy to use. I tend to prefer this type of product on cheeks so this is how I've reviewed it. 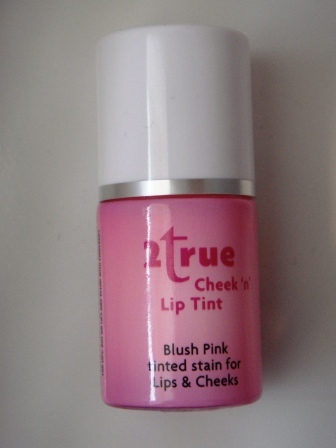 You only need the smallest amount of tint to achieve a natural flush meaning that the bottle will last & last. 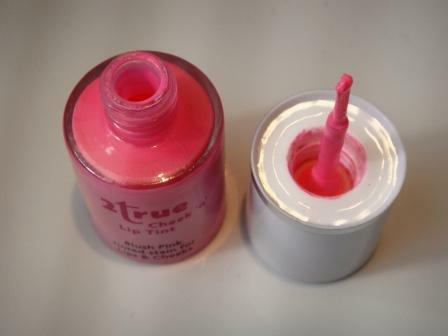 Before being blended, the product is a very bright, fluro pink which is quite alarming given that I don't aim for full-on fesival style fancy dress on a daily basis. 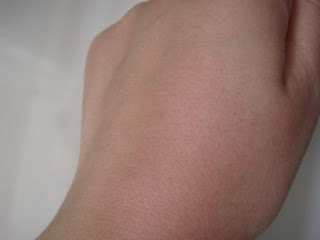 Having said this, it blends easily using either a brush or fingers and the effects are long lasting. I don't love this quite to the extent as Posietint but it's a good enough substitute if you're on a budget. At £1.99, it's a real bank holiday bargain. First, congratulations on such an informative blog on skin care reviews! I like the shade of your blush on. I'm not so lucky finding the right shade of pink that will compliment my skin tone.